Another cute set of Valentine Party Pritnables, this time the fun pink on pink striped designs has a banner, sign, flags, tent cards, and cupcake toppers. Just about everything you will need to make your party sweet. 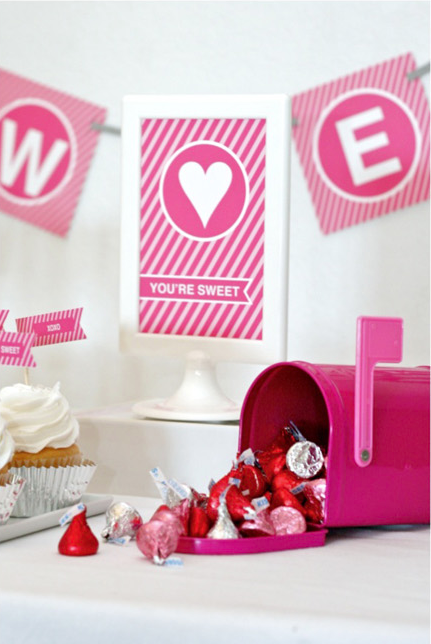 You can get your printable Valentines Party decorations over at Paging Supermom. How nice is this? Thank you so very much! They are such sweet printables!